Education and VR would seem to go hand-in-hand but many times these types of experiences fall short of expectation. 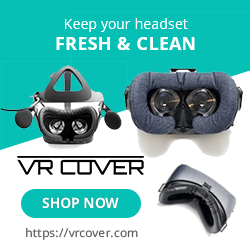 Some end up being collections of 3D videos, not true VR, or under utilize the tech giving us shallow and frankly, boring experiences that do little to expand upon whatever that experience is covering. Titanic VR is the latest in VR education as it attempts to bring us closer to the ship than any of us have ever been before while still teaching you about this unsinkable vessel, now lying at the bottom of the ocean. Meet the inside of your subermissable! There are 2 main sections in the “game” portion of this experience with both supporting the Move Controllers or DS4. The bulk of the game involves you piloting a 1 man submersible as you explore the exterior of the Titanic as it would have looked in 1985. 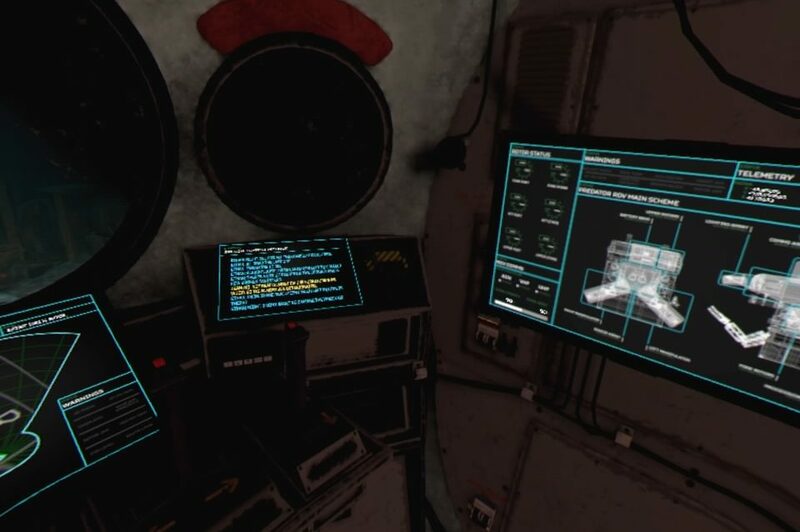 With the Moves, you physically grab the levers in front of you to move the sub up/down, left/right and forward/backward which is a really cool and immersive way to explore the ship. The DS4 assigns those controls to the thumbsticks, which is truthfully way easier to drive the sub, but does take away from the immersion factor. There is a campaign here that will require you to find and retrieve items from inside the ship from areas inaccessible from your sub. Thankfully you have a ROV, a smaller remote-controlled drone that you can use to reach the smaller sections of the ship. With this drone you have a couple of arms that can be used to grab items too be brought back to the sub for restoration and analysis. This section of the game is substantially duller but does give some insight into the work that went into recovering these lost items and from an educational stand-point I appreciated what this section entailed. Here you just teleport from station to station using a few different cleaning methods to uncover what exactly the lost item may tell you about the ship and its passengers and pushes the narrative along. You can also upgrade the ROV giving it some mission specific options that slightly mix up the gameplay. Titanic VR looks decent thanks in large part to the murky depths minimizing what the game needs to render and the fact that a bulk of the ship is rusty brown, which just wouldn’t look that good anyways, aids the limited resolution of the current headsets. Navigating around the outside of the ship is thrilling, assuming you dig this kind of stuff, and it’s so eerie and intriguing to see lost ship almost stuck in time in it’s fading state. Exploring with the ROV gets you closer to the ship, which does highlight some rougher textures but it’s still so cool to see rooms and (no disrespect) set pieces from the movie of the same name. It’s clear that a lot of time was spent recreating the Titanic as close as the developer could to deliver an unparalleled experience. Besides the campaign section is a 15-minute video recreating the final moments before the Titanic sank. On the PC side, this portion uses game engine footage and places you there in full 3D VR. On the PSVR side, due the power constraints of the console, the devs were forced to make this a 360 video instead which may be disheartening to some. One issue with this video is the scale as the people just looked to large. You are just a camera in these final moments, but it feels like the developers just chose the wrong angle for a bulk of the action With that said, I thought the video still looked really good, if not a tad too dark, and even though it was only 360, I thought the visuals were still good enough and when combined with the acting was still an emotionally stirring experience. A lot has gone into the presentation in both of these modes with the ship’s final moments being fully acted out in…alright fashion. Not every actor delivers his or her lines perfectly but it’s enough to put you in the moment, especially when you hear the cries and screams off in the distance as the ship disappears into the ocean. Throughout the campaign you play as a male explorer tasked with driving the sub and ROV and talk back and forth with your female compatriot on the surface. Banter about your current objectives and discoveries peppers the story, breaking up what would otherwise be almost complete silence. 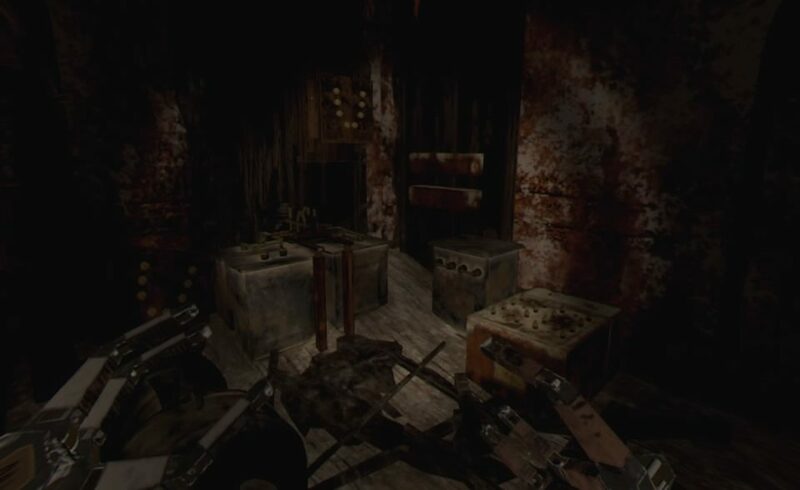 When in the restoration facility, the plot will carry forward with some phone calls and conversations with the acting here being a little better then the 360 video. 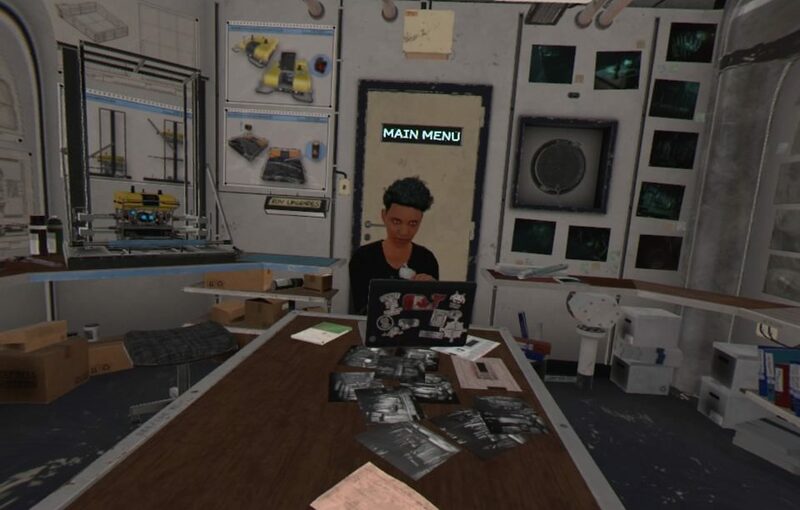 Actual witness audio recordings, taken from interviews, are also played throughout the game and it’s very clear that a lot effort went into making this more then just an educational experience by adding a ton of content to keep your interest. 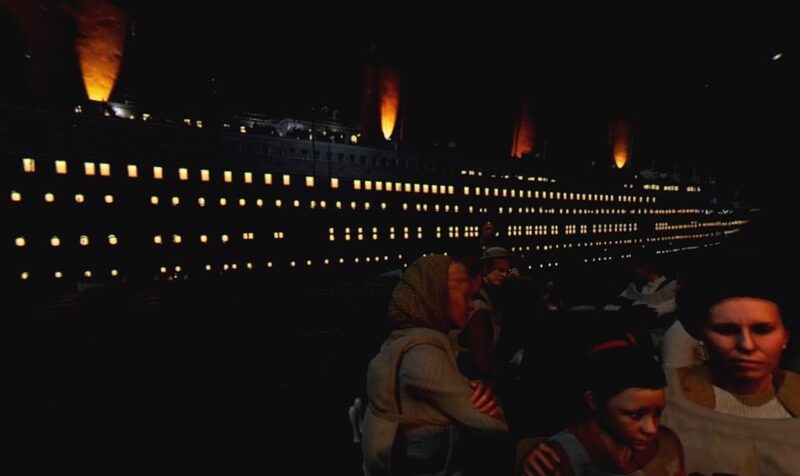 I really enjoyed exploring the Titanic in the main game and the sinking was a cool experience, even if it wasn’t full VR. The other modes available are Exploration Mode, which lets you freely explore the ship at your leisure, exploring every nook and cranny you can and take in sights you may have missed in the 6-hour(ish) campaign with the last being a controller free tour of the ship, showcasing what you would have seen in the campaign in a more controlled scenario and can be viewed in a short or extended tour with fully narrated facts peppering the ride. Even the work that went into the campaign; finding mystery items and uncovering their origins is at the very least a nice break from just searching the ships remains. The sections where you need to clean up the items do feel redundant almost instantly as does manually upgrading the rover, but these sections are typically so short as to not hamper the overall experience. With the DS4, head tracking and the highlighting of items is a bit finicky and, on many occasions, I had trouble locking on to what I was looking at as opposed to the Moves, which let you physically move your hands in VR and makes interacting with the environments a little easier. Some of the text in your sub is also really blurry until you lean in close, which isn’t a crazy issue, but one that annoys here and there throughout the game. Watching the Titanic sink is an epic experience. Titanic VR, despite its shortcomings, is an experience that I thoroughly enjoyed. I appreciated the educational aspects that were in the campaign and I enjoyed the final moments on the ship. I didn’t dabble to much in exploration mode, largely due to playing through the campaign and the tour was a nice touch and a great experience to demo to friends. If you have ever been curious about the Titanic and its histories then I think you will pull a lot from this and even if you aren’t, knowing this is an accurate representation of the real-world wreck almost 4 Km below the ocean’s surface is real cool concept brought to our headsets. What would I pay? I am totally fine with the $20 price tag, but fully admit to having been intrigued by the Titanic since I was a kid. Just exploring the vessel was worth it to me and all the extra added content on top of that makes this an experience I would highly recommend. I will say that above anything else, this more experience then game as the only real gaming element is driving the sub and ROV but as log as you can get behind that, I think you’ll appreciate what this title is bringing to the table. Immersive VR Education provided The VR Grid with a review code for this title and, regardless of this review, we thank them for that! You can explore the wreckage of the Titanic in VR!